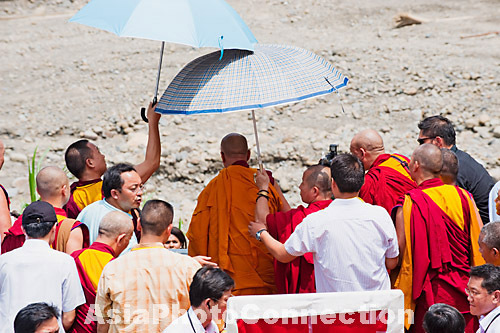 TIBET CONSCIOUSNESS – TIBET, TAIWAN, AND UNITED STATES RELATIONS. TAIWAN FOR FREE TIBET. FREE TIBET RALLY, CHIANG KAI SHEK MEMORIAL SQUARE, TAIPEI, TAIWAN. Tibet represents one-quarter of Red China’s landmass. Tibet is about 965, 000 square miles in area and it includes Tibet Autonomous Region(TAR), and Tibetan territory found in Qinghai, Gansu, Sichuan, and Yunnan provinces. Tibet is apparently three times larger than Texas(Area. 267, 338 square miles), largest state in the coterminous United States. Tibet is by far the largest nation in Asia when compared to Red China’s regional neighbors like Taiwan(Area. 13, 885 square miles), Philippines(Area. 115, 830 square miles), Japan(Area. 142, 811 square miles), Malaysia(Area. 128, 430 square miles), Vietnam(Area. 125, 622 square miles), Indonesia(Area. 741, 096 square miles), and Brunei(Area. 2, 228 square miles). Taiwan has population of about 23, 434, 000 people and ranks No. 54 among 196 countries. United States policy towards Tibet is flawed for it failed to take into account the size of territory and its geopolitical importance to hold Equilibrium of Power. 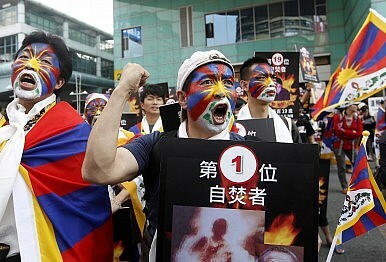 It is encouraging to note Taiwan’s support for Free Tibet. Tibet consciousness – Tibet, Taiwan, and the US – Taiwan For Free Tibet. On July 28, 1981, about two months before the proposal to Taiwan, Beijing had issued a “Five Point Proposal to the Dalai Lama.” It basically echoed Chinese concerns in mid-1981 about how to achieve the return of the Dalai Lama and “his followers.” Since Beijing was not comfortable with the idea of having the Dalai Lama live in the Tibetan region (point four) – possibly fearing that his presence there might evoke nationalist sentiment – it was proposed that he return, but reside in Beijing. The Dalai Lama was promised that he would “enjoy the same political status and living conditions as he had before 1959,” while the returnees were promised better jobs and living conditions. This was nowhere close to what the Tibetans had in mind. Even though the Dalai Lama had decided by the early 1970s that he would not seek independence/separation from China, the Five Point Proposal was not an acceptable proposition, for it sought to reduce the Tibet issue to that of the Dalai Lama. Meanwhile, Taiwan too had rejected the Nine Point proposal put forward by Beijing. Interestingly, the Tibetan delegates during the talks in 1982 argued that if Taiwan was being offered such concessions, then the same or greater concessions should be granted to Tibet, given the fact that the Tibetans were different from the Chinese in race, culture, religion, customs, language, natural habitat, and history. The differences in Beijing’s approach to the Tibetans on the one hand and to Hong Kong, Macao and Taiwan on the other, has not gone unnoticed among the Tibetan leadership. The Tibetan leader, Sikyong Lobsang Sangay, in an interview with the World Policy Institute in 2012 wondered whether Beijing’s discriminatory approach owed to the fact that the Tibetans are “racially different” from the Han Chinese? Meanwhile, following a changing of the guard in Taiwanese leadership and politics starting from the early 1990s, Beijing’s two primary opponents, the Tibetans and the Taiwanese, began to coalesce. Prior to 1992, Tibet-Taiwan relations were almost non-existent, and what exchange existed was in fact quite contentious. One factor was the role played by Taiwan’s Mongolian and Tibetan Affairs Commission (MTAC), an agency set up under the Kuomintang (KMT) government to administer Republican China’s sovereignty over Tibet. The Tibetan government in exile always held that the MTAC had for a very long time been funding “conflicts and discords in the Tibetan community.” Since 1992, after relations began to normalize, the Dalai Lama has travelled three times to Taiwan, in March 1997, March 2001, and September 2009. The first trip was during the tenure of President Lee Teng-hui, the second was after the victory of the Democratic Progressive Party (DPP) under the leadership of President Chen Shui-bian, and the third was right after the KMT had been reelected to power under President Ma Ying-jeou. All visits evoked fierce condemnation from China. The Dalai Lama’s visit to Taiwan in 1997 resulted in Beijing adding a third precondition to restarting the Sino-Tibetan talks: “As long as the Dalai Lama makes a public commitment that Tibet is an inalienable part of China and Taiwan is a province of China, then the door to dialogue and negotiation is open.” Beijing’s reformulation of the preconditions to include Taiwan was perhaps its response to the increasing closeness in Taiwan-Tibet relations. A symposium on “International Relations vs Tibetan Issue” organized jointly by the International Relations College of Peking University and China’s Tibet on September 10, 2000, dismissed the coming together of Tibetans and Taiwanese as meaningless, though it agreed that “it deserves our close attention” (China’s Tibet 2000). A similar view was expressed in 1997, when he said that the Taiwan trip might serve “as a gesture of reconciliation.” An additional reason was “to stop the misdeeds of these people forthwith.” The Dalai Lama was referring to the secret agreement signed between the exile organization Chushi Gangdruk and Taiwan on March 31, 1994, without consulting the exile leadership. By the terms of the agreement, the Taiwanese are reported to have promised that once China is “unified under a free, democratic system” they would guarantee “rights of self-governance for Tibet” and recognize the Dalai Lama as “the political and religious leader of the Tibetan people.” The Tibetan leadership in exile were probably concerned because the agreement not only questioned the authority of the exile government to represent the Tibetans in exile, but also had the potential to give rise to a trend of separate agreements by groups with either the PRC or the ROC/Taiwan. The seriousness of the issue is evident in the fact that a referendum was held in exile on the matter. 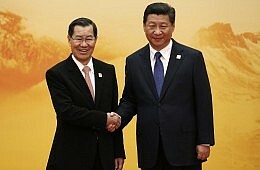 According to a source in Taiwan’s National Security Bureau, the possibility of establishing bilateral diplomatic relations between Taipei and the Central Tibetan Administration was raised by the Taiwanese during the visit of the Dalai Lama to Taiwan in March 1997, but both sides decided to shelve the matter for fear that the PRC authorities would accuse them of “cooperating in activities to split the Chinese motherland.” The same source said that an invitation to the Dalai Lama to attend Chen Shui-bian’s inauguration in 2000 did not materialize because the Dalai Lama did not want to provoke Beijing. These inhibitions were later cast aside somewhat as Taiwan set up the Taiwan-Tibet Exchange Foundation in January 2003, with a view to phasing out the Mongolian Tibetan Affairs Commission (MTAC). Though this foundation was touted as “a nongovernmental agency charged with handling relations with the Tibetan government-in-exile,” its launch was presided over by President Chen Shui-bian himself. The leader openly invited the “Tibetan government in exile to join Taiwan in defying China,” thus suggesting a DPP-led Taiwan’s interest in forming a coalition with the Tibetans. The Tibetan leadership in exile seems to have been wary, given that talks were ongoing with Beijing on an annual basis since 2002. The then Kalon Tripa Samdhong Rinpoche, for instance, distanced the Dharamsala establishment from the Taiwan-Tibet Exchange Foundation by commenting that it had no role in the founding of the foundation. Taiwan has also yet to do away with the MTAC, since the DPP lost power to the KMT in 2008. In fact, increasingly, the body has come under fire for focusing on relations with the Inner Mongolia and Tibetan regions in China, for its lack of engagement with the Tibetan exile government, and for “failing to provide any report on alleged Chinese human rights violations in Tibet.” This again is owing to Taiwan’s own political dynamics, as much of the aforementioned criticism of the MTAC has come from DPP legislators. Taiwan’s KMT leader Ma Ying-jeou has focused his attention on normalization of cross-strait economic relations under his policy of “Three Nos”: No unification, No independence and No use of force. If the DPP is triumphant in the upcoming Taiwan elections, Taiwan’s ties with the Tibetan government in exile are bound to increase. The MTAC may be dissolved, as previously planned. Might Taiwan even consider making a formal statement on the status of Tibet? If so, it would be interesting to see Beijing’s response, and the implications for Sino-Tibetan relations. 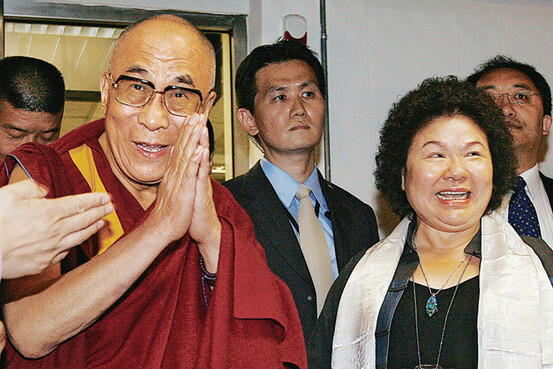 To recall, the Dalai Lama’s trip to Taiwan in 1997 coincided with the opening of informal channels of communication between the exiled Tibetan leadership and Beijing. The 2001 visit was followed by the opening of formal talks in 2002. By this logic, perhaps it is time for the Dalai Lama to make a fourth visit to Taiwan. 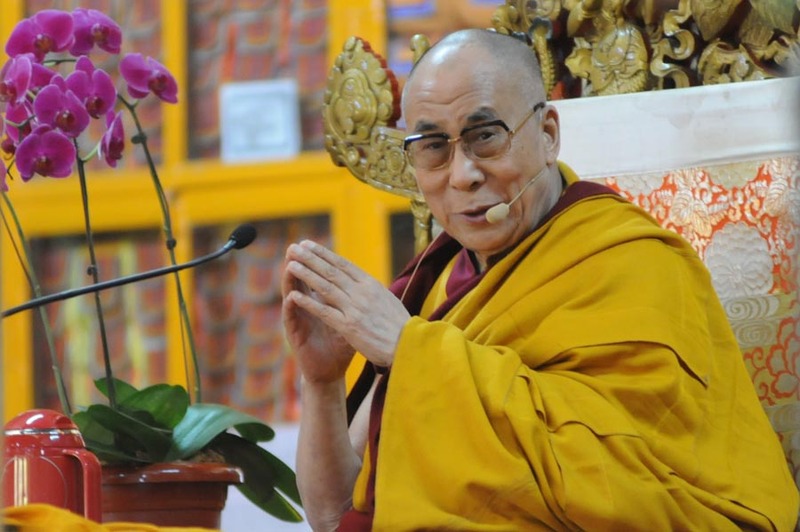 Earlier in the year, that is in March 2015, a 12-member Taiwanese delegation met with the Dalai Lama in Dharamsala and presented him with an invitation from “15 Taiwanese civic organizations,” to which the Dalai Lama readily gave consent. As we have seen though, the visits also led to the addition of Taiwan to the list of preconditions Beijing set for the restart of a Sino-Tibetan dialogue. Historically, while Beijing’s outreach to the Tibetans preceded its formal outreach to Taiwan, contemporaneously, Sino-Tibetan talks have lagged far behind. The last round of formal meetings between the Dalai Lama’s representatives and Chinese leaders were held in 2010. How likely is a meeting between Xi Jinping and the Dalai Lama, similar to the one between Xi and Ma? Not very. One problem is the proliferation over the past few years of the Chinese bureaucracy overseeing Tibet. For a long time, Beijing’s lack of insight into Tibet and the misrepresentation of the ground reality by local leaders were considered key reasons for the failure of Beijing’s Tibet policy. Increasingly, though, bureaucratization and the creation of groups with a vested interest in the status quo are seen as a major hurdle to any substantive talks. Still, many in the Dharamsala establishment seem optimistic that Xi will be able to overcome this hurdle and initiate a major breakthrough on Tibet in his second term when he has consolidated his position. In late 1978, when Deng decided to get in touch with the Dalai Lama’s brother Gyalo Thondup to discuss the Tibet issue, he may have wanted to make Tibet an example of Chinese sincerity in resolving its outstanding issues. Certainly, the Tibetan delegates who went to Beijing for talks in 1982 were reported to have felt this way. Yang Jingren, the Chinese interlocutor to the talks, is reported to have conveyed to the Tibetan delegates China’s interest in solving the Tibetan problem as an important step to normalizing relations with India. So, we see an interesting nexus of issues and imperatives that Beijing may be looking at, and, if not, then the Tibetans have been pushing China to consider the links. For example, the Dalai Lama in his March 10 statements of 1994 and 1996 suggested that successful negotiations on Tibet would positively influence sentiment in Hong Kong and Taiwan towards China. These statements were made at a time when the Sino-Tibetan talks had reached a stalemate and all communication had ceased between the two sides. When the announcement of the Xi-Ma meeting in Singapore was made, the Tibetan leadership in exile is likely to have assessed it positively and as an affirmation of their belief in Xi. As to whether that assessment is justified, only Xi can tell. Tshering Chonzom Bhutia is an Associate Fellow at the Institute of Chinese Studies, in Delhi, India. 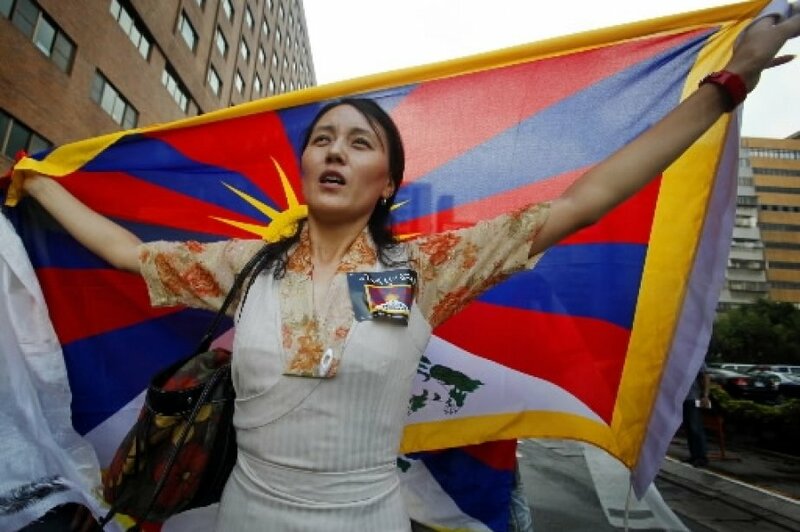 TIBET CONSCIOUSNESS – TIBET, TAIWAN, AND UNITED STATES. TAIWAN FOR FREE TIBET. DALAI LAMA’S VISIT TO TAIWAN IN 2001. Tibet Consciousness – Tibet, Taiwan, and the United States. Taiwan For Free Tibet. Tibet Consciousness. Taiwan For Free Tibet. Dalai Lama with Taipei City Mayor during his 2001 visit to Taiwan. 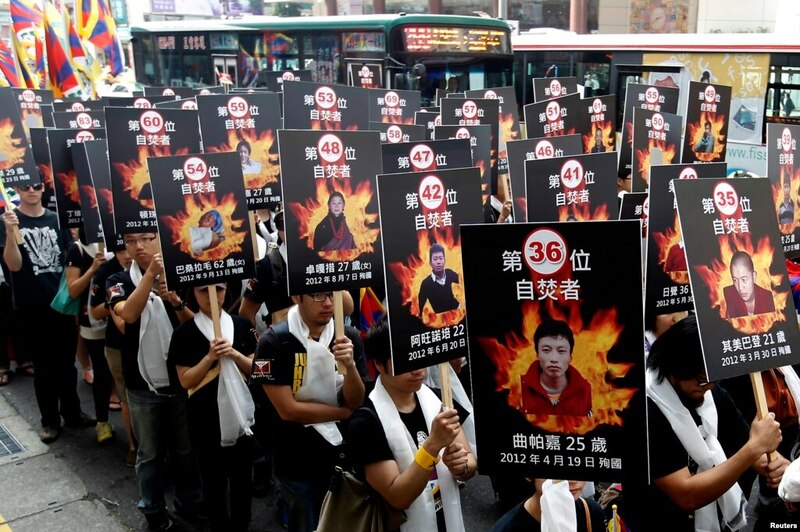 Tibet Consciousness – Taiwan for Free Tibet. Dalai Lama praying for village destroyed by typhoon Morakot. 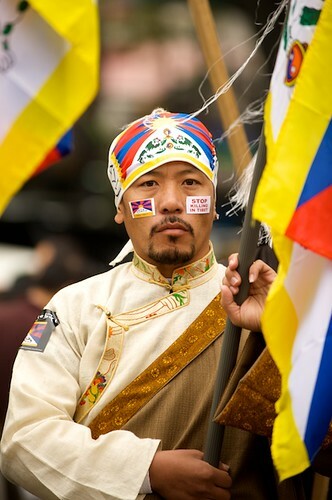 Tibet Consciousness – Taiwan For Tibet. Dalai Lama’s visit to Taiwan. 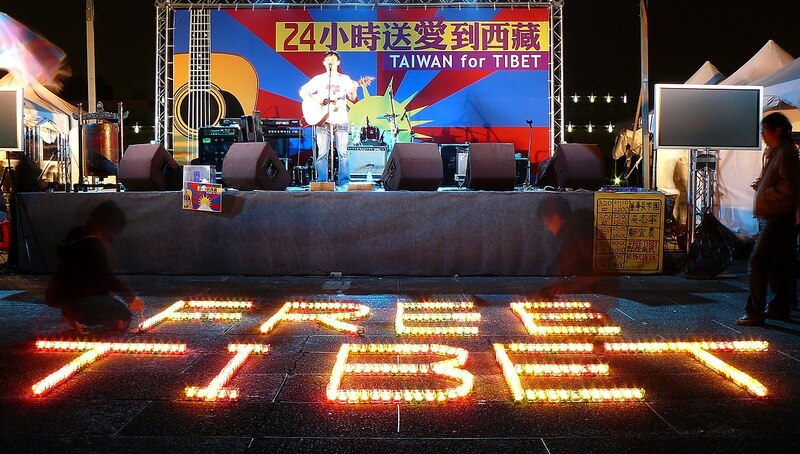 Tibet Consciousness – Taiwan For Free Tibet. 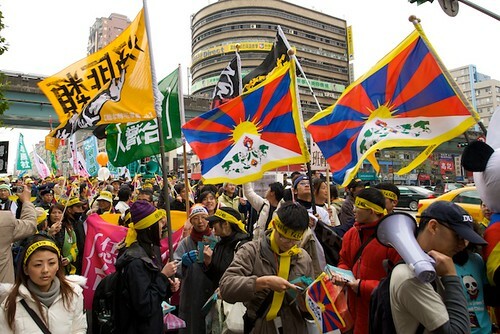 Tibet Consciousness – Taiwan For Free Tibet. Tibetan National Uprising Day Rally in Taipei. 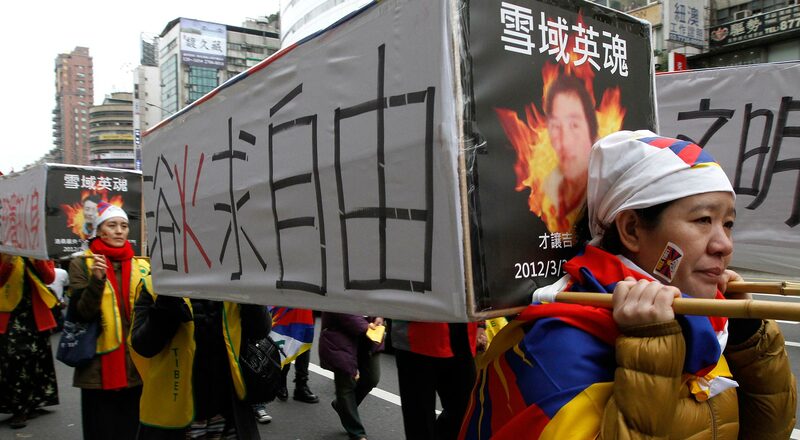 TIBET CONSCIOUSNESS – TAIWAN FOR FREE TIBET. 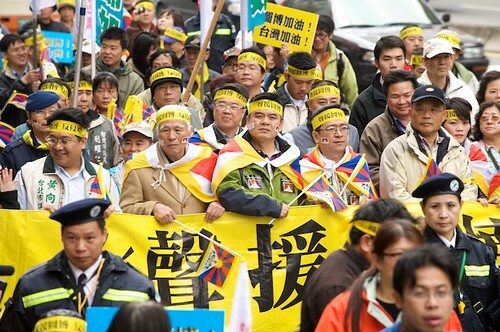 RALLY IN TAIPEI TO SHOW SUPPORT FOR FREE TIBET. TIBET CONSCIOUSNESS – TAIWAN FOR FREE TIBET. PRO-TIBET RALLY IN TAIPEI ON TIBETAN NATIONAL UPRISING DAY. TIBET CONSCIOUSNESS – TAIWAN FOR FREE TIBET. PRO-TIBET RALLY IN TAIPEI ON TIBETAN NATIONAL UPRISING DAY, MARCH 10, 2013. Tibet Consciousness – Taiwan For Free Tibet. Tibetan National Uprising Rally in Taipei.